I've been meaning to get my hands on some Sinful Shine polishes for a while - I just haven't gotten around to it. So, imagine my excitement when I received my Sunkissed Vox Box from Influenster, and opened it to find Bananappeal: an absolutely lovely, bright yellow creme that just SCREAMS summer! 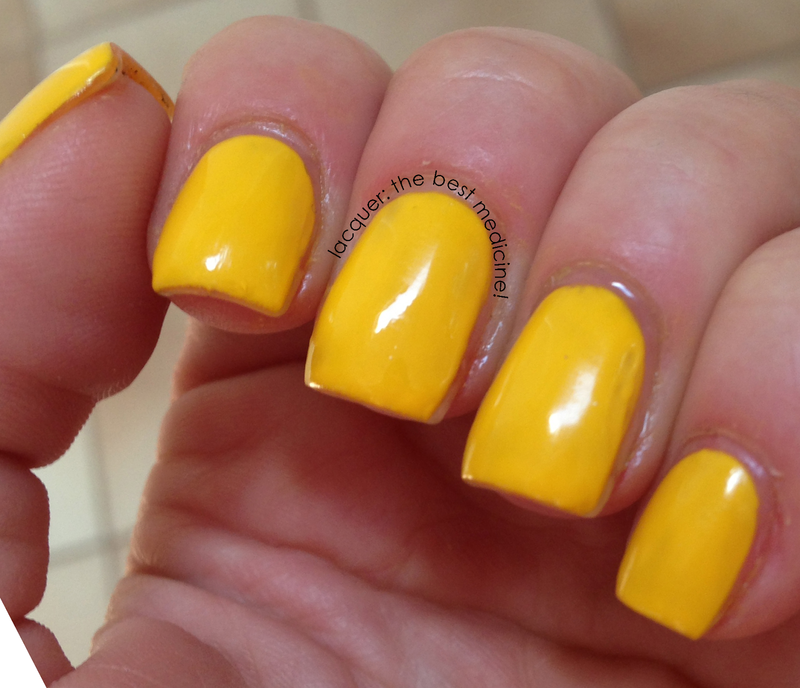 As is expected with yellow polishes, the application was not the best. The first coat was verrrrry streaky, but I fixed that right up with a thick second coat. I probably should have gone with a third coat just to cover any unevenness. I highly recommend topcoat for this one - not because of a lack of shine (actually the shine was amazing without topcoat) but because the topcoat really helped to even out the polish. I was disappointed with the formula of this polish - the polish sort of started to dry as I was applying it - which is stinky for a regular manicure, but AWESOME for a sugar-spun mani! ...but nevertheless, that is not how a formula should be, in my opinion. What do you think? 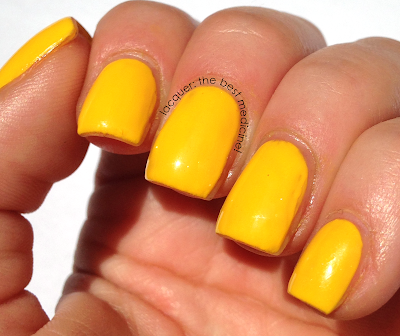 Is this color too bright for you, or would you totally go bold and rock it this summer? Love the colour shame about the application.